Before I was old enough to care about The Beatles, I knew Ringo Starr as the magical Mr. Conductor on PBS's kids' show, "Shining Time Station," the American spin-off of the popular "Thomas the Tank Engine and Friends." This program may or may not have set in motion my imagination's tendency to assign personalities and moods to inanimate objects, but that's neither here nor there. The current incarnation of the ever-popular show is "Thomas & Friends." 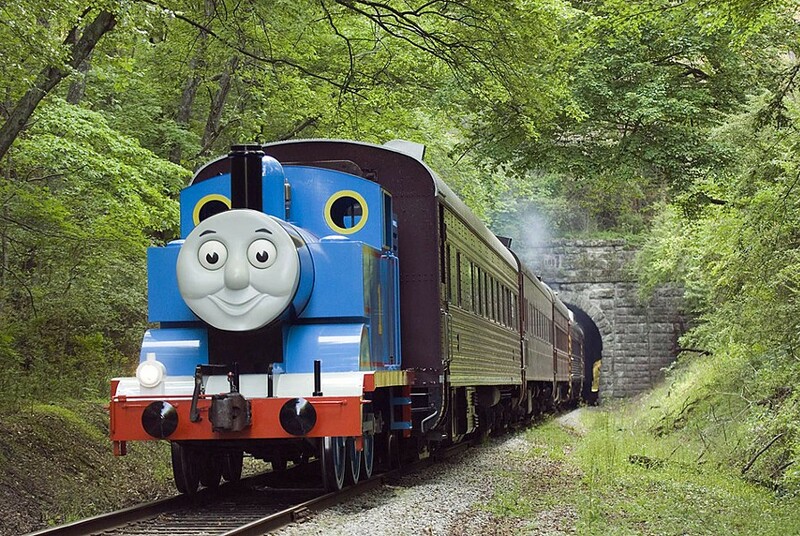 You can take your own kiddos to ride aboard a life-sized Thomas the Tank Engine this weekend at Medina Railroad Museum (530 West Ave., Medina) for Day Out with Thomas: The Go Go Thomas Tour 2013. Little engineers and their families will meet Sir Topham Hatt, Controller of the Railway, and enjoy a day of Thomas-themed arts & crafts, storytelling, and more. The event takes place Friday-Sunday, May 10-12 and 17-19, 8:45 a.m.-6:30 p.m. each day. Tickets are $18 and free to kids under age 2, and can be purchased by calling 866-468-7630, or by visitingticketweb.com/thomas.html. For more information, call 798-6106 or visit railroadmuseum.net.